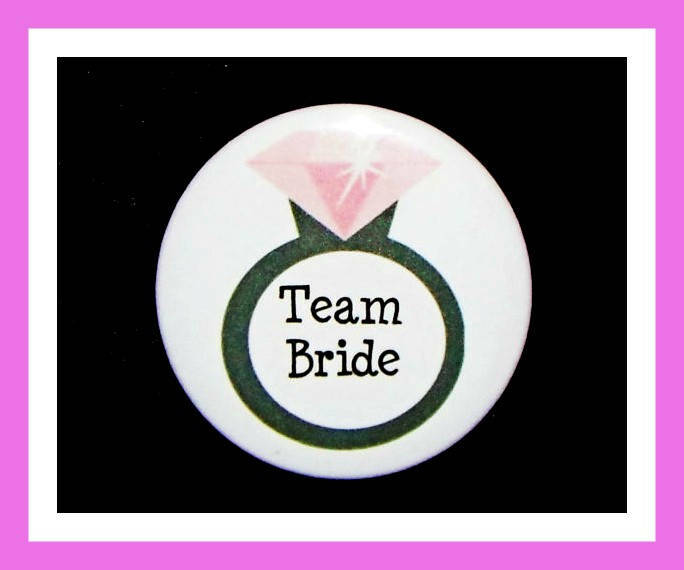 HOSTING A BRIDAL PARTY? Dress your favor bags up with our adorable 2.25" diameter pin back buttons! Our favors are ideal, as the pins are wearable!